For a train enthusiast that my son is, riding one is always a thrill, as if it was his first ever. His eyes shine and he cannot get enough of the sights, sounds and smells of trains. 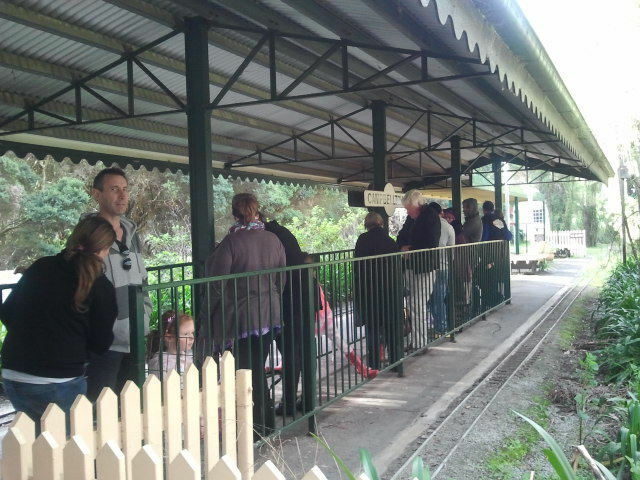 On our way to the Cardinia Picnic Grounds, we decided to stop at Campbelltown Miniature Railway located in Narre Warren North. As we entered the gates, I could sense the excitement brewing in the back seat where both my children were strapped into their car seats. The drive to the parking area is a gravel road, well sign-posted all the way through. We went straight to the train ride. The cost for the ride is very reasonable. Since it was a public holiday, the place was reasonably busy. 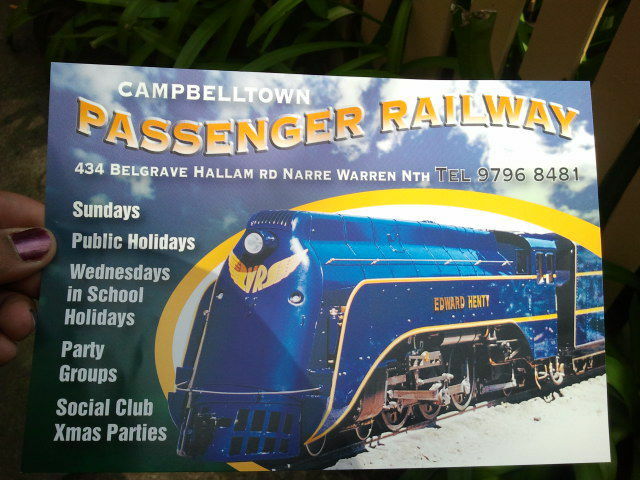 The stationmaster was the cheerful Nancy Campbelltown, who was brimming with enthusiasm about the beautiful weather. I purchased the tickets for Boulder Mountain Express for both my children, who are old enough to ride alone, but children under the age of five must be accompanied by an adult. I was charged $9, which I think is extremely reasonable. 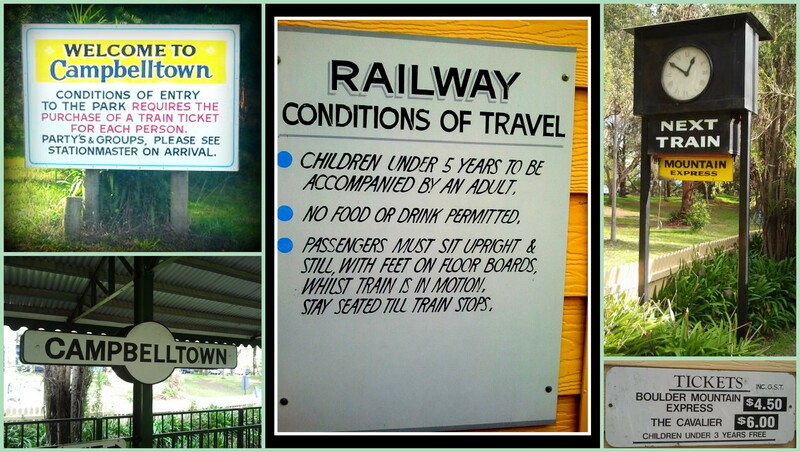 Please note that the only way to purchase the train tickets is by cash. My son's anticipation grew as we waited in line for the arrival of the next ride. Suddenly, the toot of the arriving train diverted his attention fully towards the tracks. When it finally arrived, my son had to lower his gaze significantly to realize how mini a miniature really is. He was quick to remark that it is a "baby" train. Miniature Railway "Boulder Mountain Express"
The driver, Collin, is kind and gentle, and explains the mechanics of the miniature. 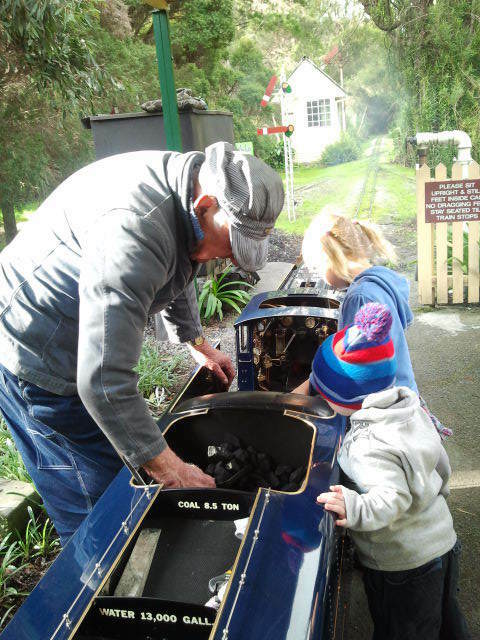 My son was fascinated by the steam-powered railway, the coal, the fire, the steam, the toot, the miniature tracks and everything else about it. The train begins its 4 kilometre ride around the private land owned by Nancy and Collin, and a few minutes later, the children are back, smiling widely, describing all they saw: ponds, trees, birds, nature. 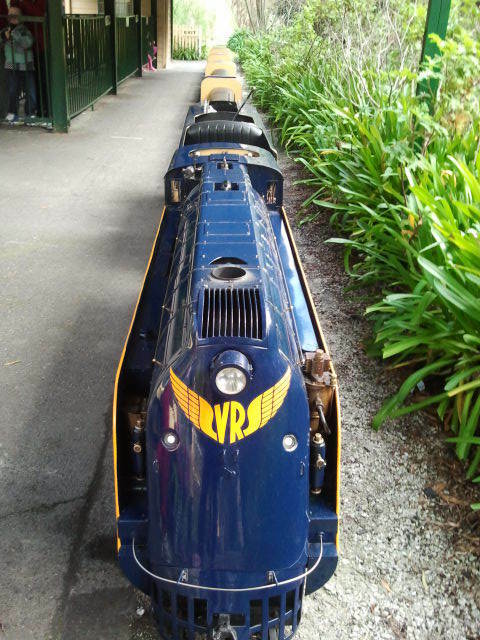 We spend some more time talking to the owner and my son even got to toot the train whistle. There is a picnic area also, which is furnished with a few tables, or a picnic rug can be spread on the grassy ground. Two old train carriages have made their home in the picnic grounds and can be inspected by all visitors. There is a rustic old playground, and a tire tied to a chain is the swing, which for my children was something they had never seen before. Please note that there are no cafe/vending machines or ATM facilities available on site. The toilet facilities are located close by and are clean. 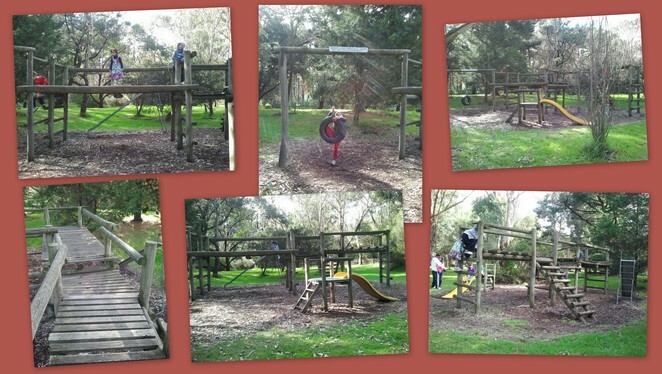 The park can be accessed by wheelchair, although there are no paved pathways. The park is open on Sundays and on public holidays, as well as on Wednesdays during School Holidays from 11am to 5pm. 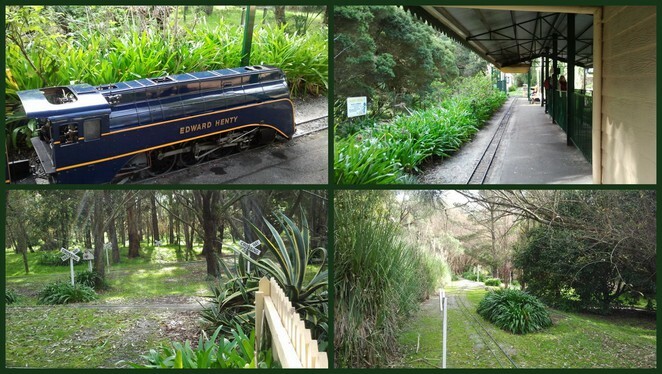 For all that the park has to offer, it is definitely worth a visit - perhaps not for an entire day, but a couple of hours, maybe a stop before you head on to the Dandenong Ranges. 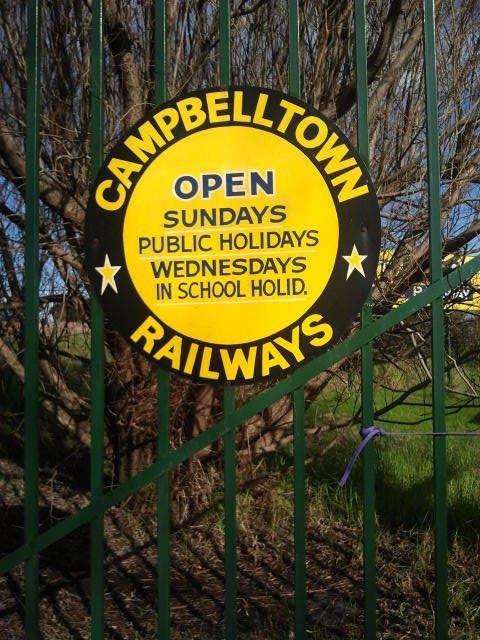 Pack a light picnic and spend a couple of hours in the company of the Campbelltown folk. I bet the kids love that! 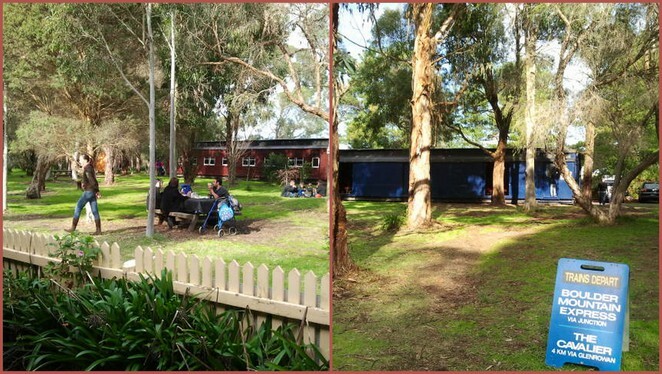 Greensborough Model Aircraft Club - G.M.A.C.